Listening to One Fell Swoop reminds me how good The Spill Canvas used to be. 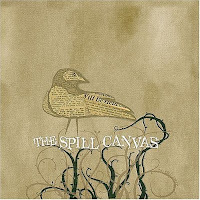 Songs like "Polygraph, Right Now", "Staplegunned", and the older "The Tide" (one of my favorite and most emotional songs of all time) are extremely good songs that should have launched The Spill Canvas to extreme popularity. Alas, they released the mostly atrocious Formalities which was mostly a rehash of the extremely boring Realities EP. The album is even worse when put next to the first of their "alities" release cycle, Abnormalities, which was superb. I just hope the band will finally get back on the right track with a new album.